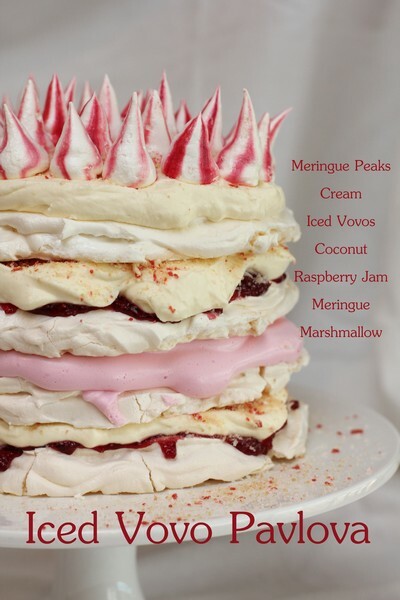 I saw the January Taste Magazine’s Cover whilst looking over a number of my food-related emails – it was an Iced Vovo Pavlova – it looked amazing! I made sure I bought the magazine as I thought this would be lovely to make for Australia Day celebrations. 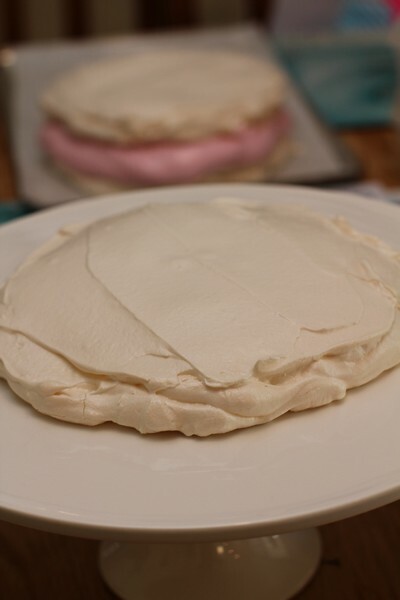 I didn’t choose the best day to make meringue though, a hot and steamy 30C+ day in Sydney. So sweating in the kitchen I persevered and managed to get it all done. 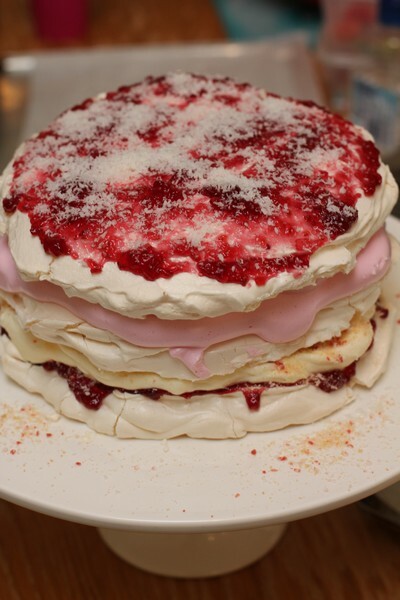 Luckily I took the photos straight away, as it starting weeping and melting in the heat (as it was a lot taller than I expected, and didn’t fit in the fridge). 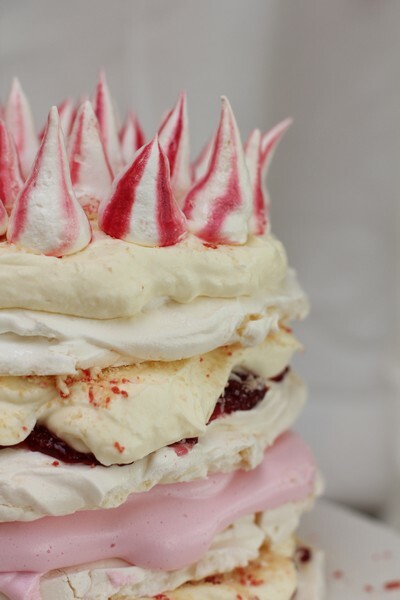 As for taste, I was surprised at how similar to the Iced Vovo biscuit it tasted – due to the combination of coconut, raspberry jam and marshmallow, with lovely cream layers and crunchy pavlova. My only issue, I found it a bit too sweet. 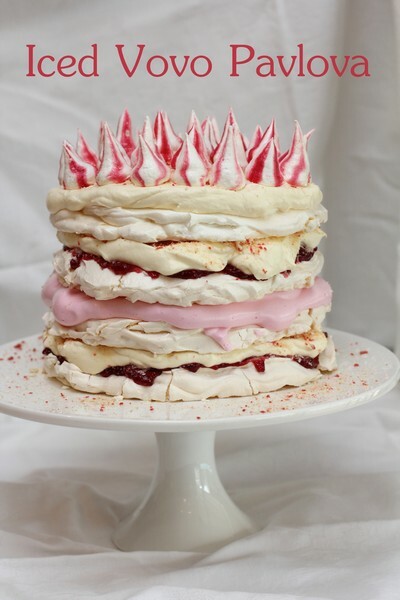 I would have liked a cake/sponge/biscuit layer and less meringue, but that’s just me – maybe something to create in the future. Nick’s veggie beds have really taken off, he has built 5 lovely raised garden beds (quite a while ago now) for his vegetable beds, and we have already had loads of onions, beans, tomatoes, peas, beetroot, pumpkin and even corn! One of the easy veggies to grow is silverbeet, and we were very happy when ours lasted two seasons! 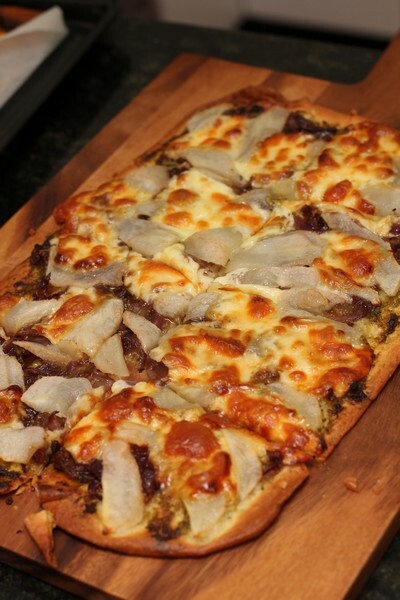 After previously using it in Spanikopita, we decided this time around we would try out some new recipes. 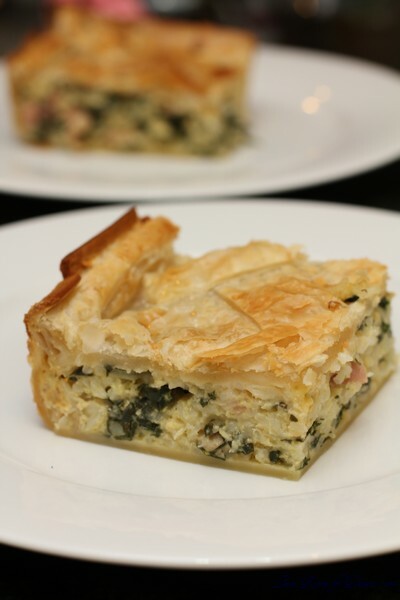 I searched the web and found a very interesting one that had spinach and rice in the pie. 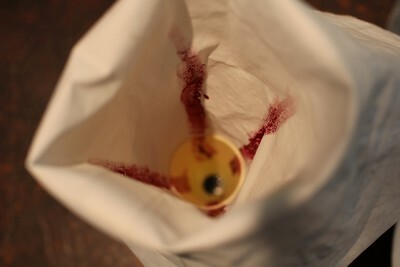 To me that sounded a little odd – although I am certainly glad I tried it! It was a lovely pie, the bottom pastry didn’t go soggy, as the mix was not too runny, and all the flavours worked beautifully together. 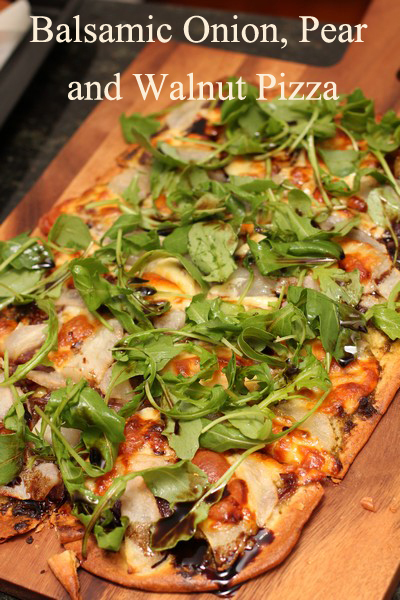 We have already made this pie a couple of times now and it’s great when you have extra silverbeet growing. Place rice and water in a small saucepan over high heat. Bring to the boil then simmer, covered, for 10-12 minutes (rice should be almost cooked). Rinse under cold water. Drain. While the rice is cooking, heat 1 tablespoon oil in a medium saucepan over medium heat, cook the onion for 5-10 minutes, until soft (and caramelised if you like), add the bacon and cook another 2-5 minutes. Set aside to cool slightly. (Cooling is not that important if you are rushed on time). Preheat oven to 220°C. 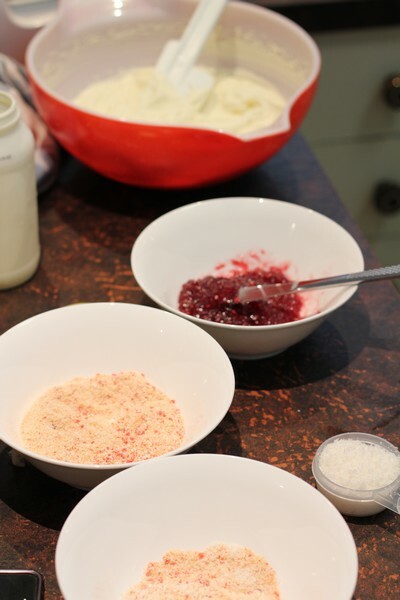 Line a lasagna dish with 2 sheets of shortcrust pastry. Combine rice, spinach, oil, onion, cheese, bacon and eggs. Mix well. Season with salt and pepper. Spoon mixture into lasagna dish. 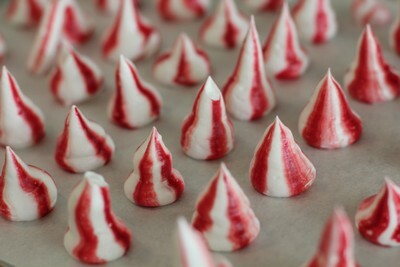 Brush edges of pastry lightly with water. Top with remaining puff pastry. 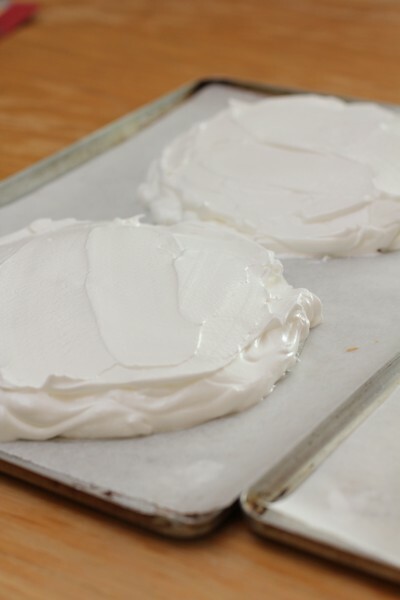 Press edges of pastry together (Use any left over puff pastry to decide a criss-cross pattern on top). Brush pastry top with milk. 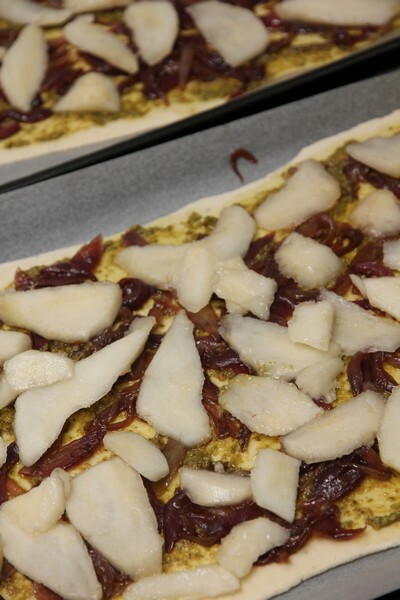 Bake for 18 to 20 minutes or until pastry is golden and crisp. Serve hot or cold. 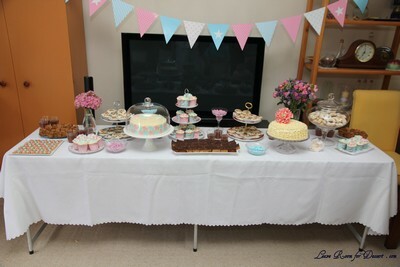 It seems forever ago now, but I still wanted to share my baby shower photos with everyone. 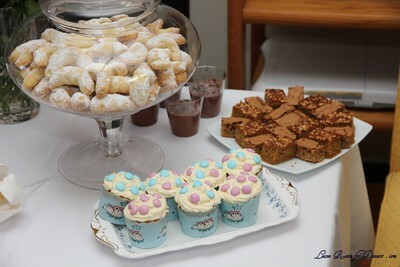 My family went to such a great effort to make my baby shower dessert table… and yes, even though it was my baby shower I just had to make some cakes! This was my chance to decorate a couple of cakes, using the ruffle icing technique, my new fondness of sugar flowers and some sugar baby related decorations. Next up, this was as close to decorating in fondant that I get (coming from a family who doesn’t really enjoy fondant that much). 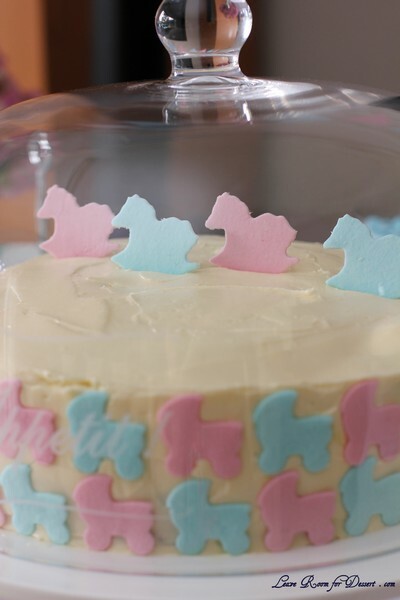 I made the baby carriages and horses out of sugar paste in advance, and stuck them on the Vienna cream icing. 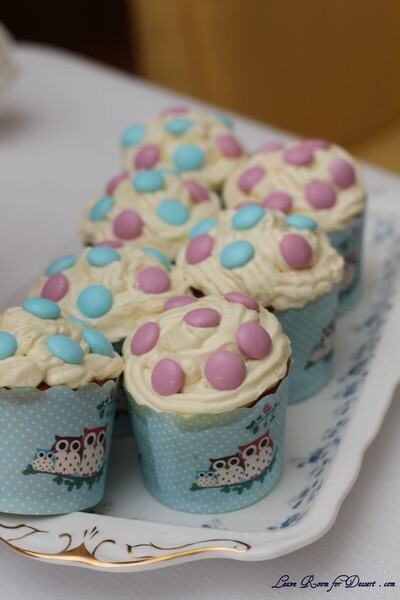 Unfortunately they became quite soft reasonably soon after being placed on the cake. I ordered my cookie cutters from here. 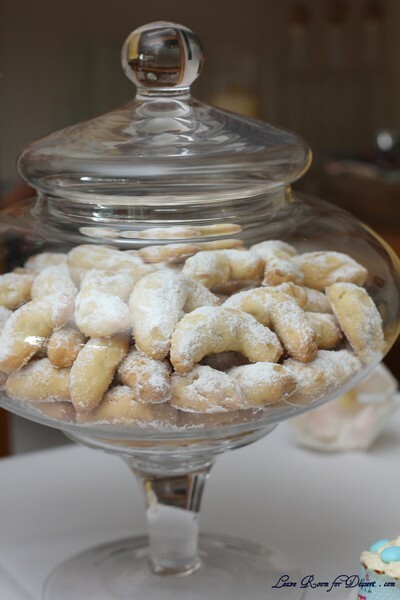 Mum’s lovely almond butter biscuits, easy to make the day before. 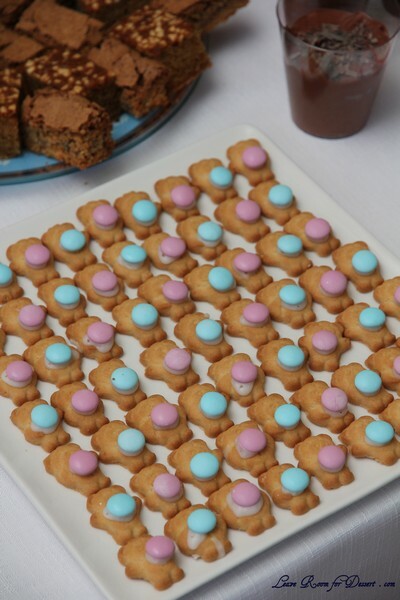 Cupcakes and tiny teddies decorated with pink and blue mm’s. 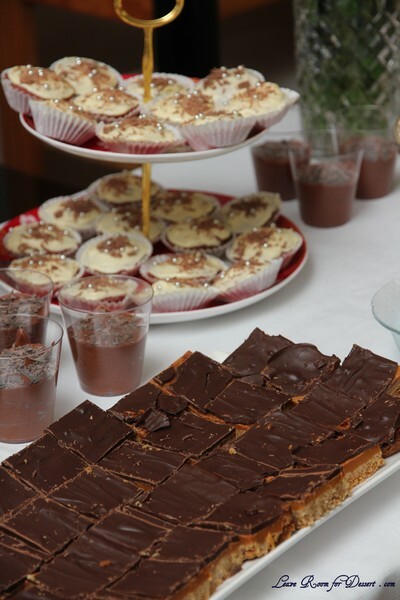 Caramel slice, chocolate mousse and red velvet cupcakes. Armenian nutmeg cake and chocolate brownies. I have recently been going through my dozens (and dozens) of food magazines. Unfortunately i just don’t have the room to keep them all, and even if I did, once they get stored away, I don’t look at them. I’ve torn out hundreds of recipes I’d like to try and (sort of) ordered them into different categories. The plan for a while, was to cook at least 2 new recipes per week, although I found I kept losing some of my favourite recipes. 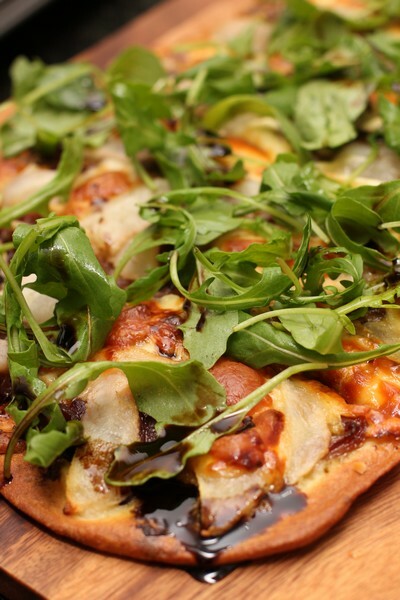 This pizza is one of those new favourites. 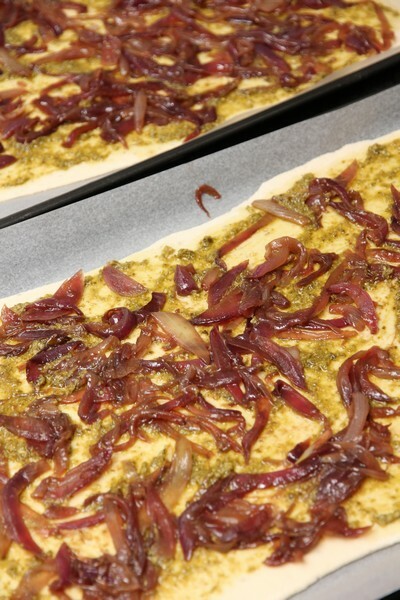 It’s a very easy pizza to make (you can make the caramelised onion in advance, and make the bases if you like – or buy them). 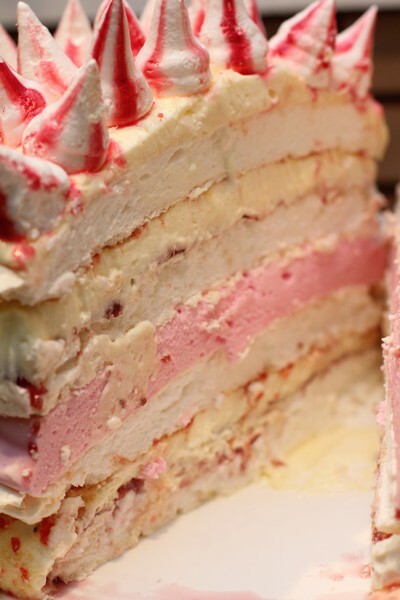 It is a wonderful combination of flavours and is lovely and sweet. 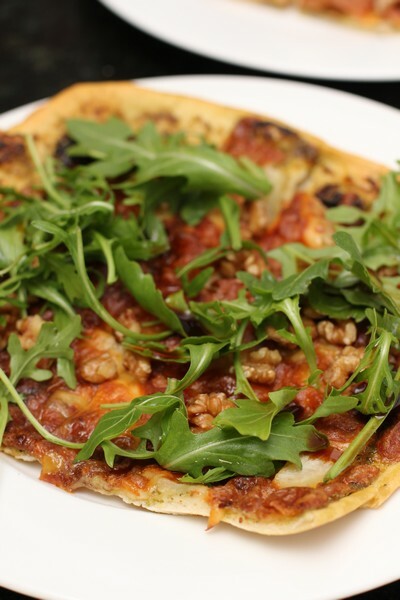 A great pizza to make for a change to the more common toppings. 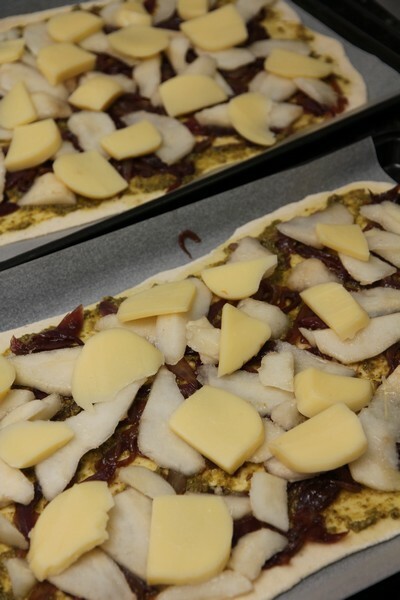 Place a baking tray in the oven and preheat the oven to 220C. 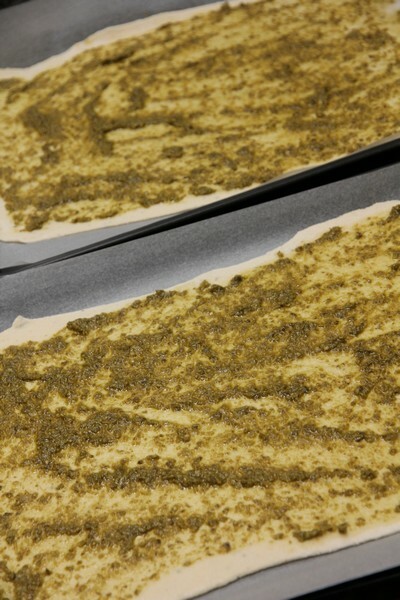 Heat oil in a frypan over medium-low heat. Add the onion and a pinch of salt, then cook, stirring, for 10-20 minutes until softened and caramelised. Add 2 tbs vinegar and cook for a further 1 minute. Set aside. I have a lot of hobbies (some may call them obsessions). Food, flowers, photography. What’s great about these hobbies, is that they go so well together. I do seem to add and add and add though, rather than replace. 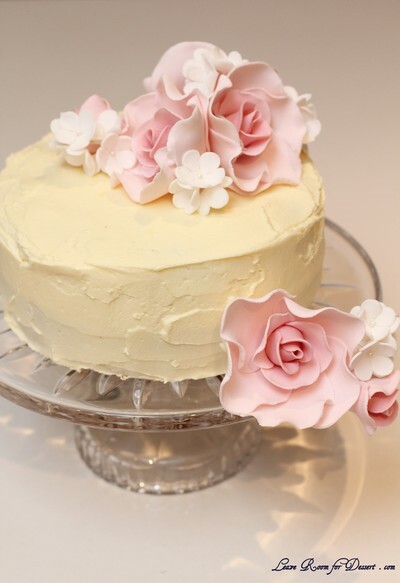 One of my most recent hobbies has been sugar flowers. 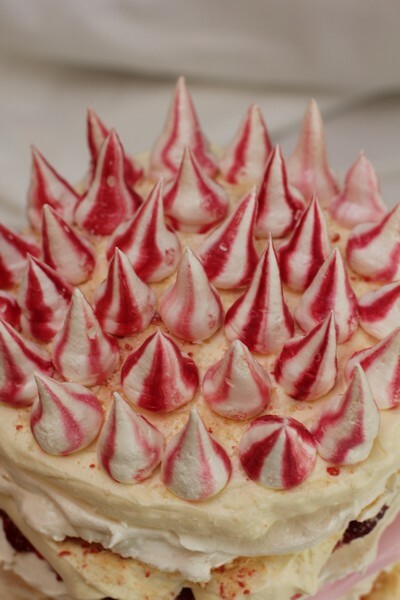 I’m not sure where the obsession started… although I think it was possibly viewing one of the many gorgeous posts from Bake in Paris. Such a beautiful job with all the sugar flowers, how could one not be in awe! 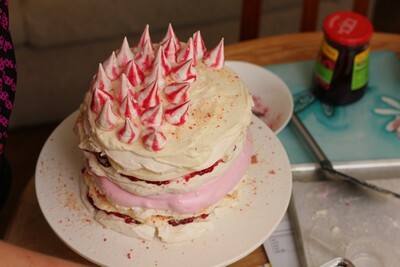 This led me to join a community college course in cake decorating, in which I learned many valuable techniques, although it only touched on sugar flowers, and not enough for what I wanted to achieve. 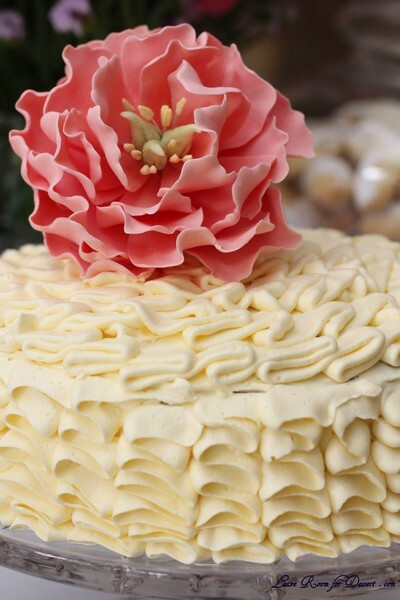 I later went to a 2 day course at Planet Cake and learned how to make a peony and hydrangea arrangement. I bought a book and pinned lots of tutorials, although have only just started to play and learn. 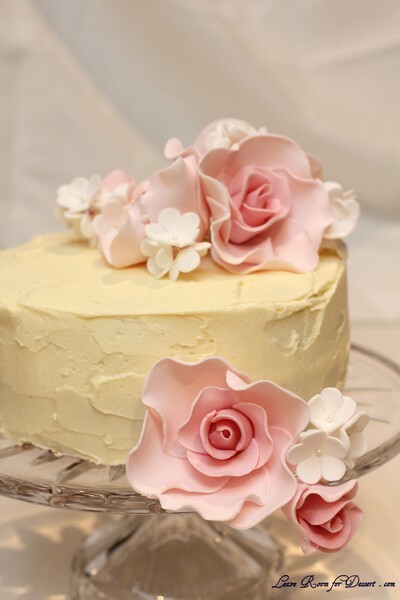 I made these roses and white flowers using gumpaste which just did not handle well (this was the second time I had tried making gumpaste, each from a different recipe). Although I was very happy with the results, especially compared to my first ever rose I tried to make (I found patience was the key here, originally I tried to make the whole rose in one day – it just doesn’t work, you need to let the paste dry and harden inbetween layers). This cake was a poppyseed cake, with orange frosting (as fondant isn’t enjoyed by my family). 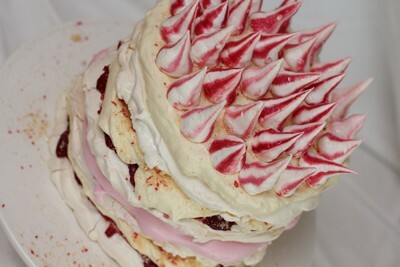 A lovely, yummy cake chosen by my Mum, as this was a special cake for her birthday weekend for a very special birthday. 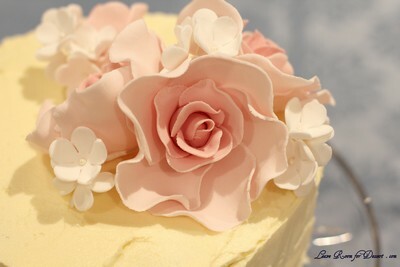 I look forward to continuing to explore my passion for sugar flowers (and cake decorating) and will hopefully make some tutorials when I am happier with my results.